There was a really good post the other day from Cupcakes and Cashmere about the borderline, in particular for bloggers, between an on-line, virtual life and the real world. Emily Schuman, who curates and writes Cupcakes and Cashmere, is, as many of you will know, a highly successful lifestyle blogger. She makes the very important point that not everything that we chose to share on social media channels is “a complete portrayal” of our lives. Indeed, if it were, how dull it would be (got up, took a shower, ate breakfast, brushed teeth every morning). I don’t discuss my job here, for, I think, obvious reasons. There are odd references of course, but that is all. These past few weeks, as I have already mentioned, have seen a few work trips, including three to Hamilton. 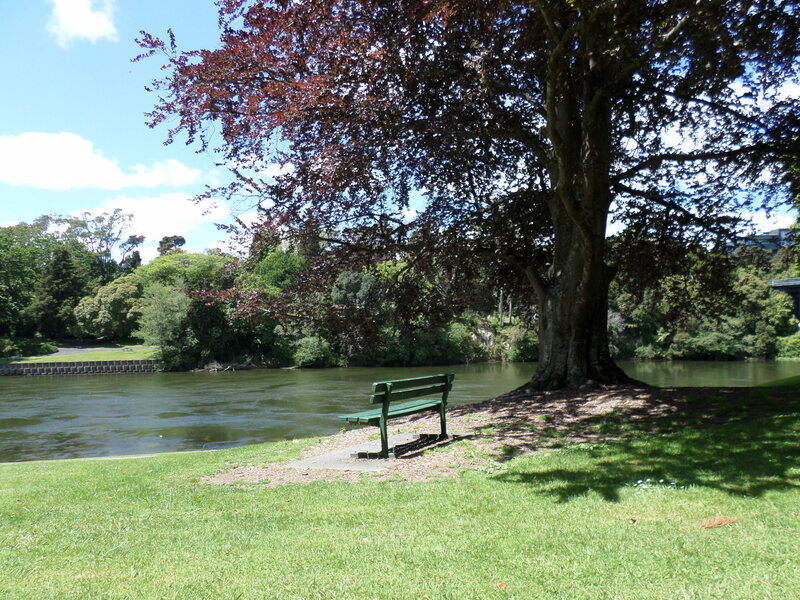 This week I had a bit of a gap between finishing the meeting and catching a flight home, so took the opportunity (as I wrote in the last post), to walk along by the Waikato river and enjoy the sunshine. 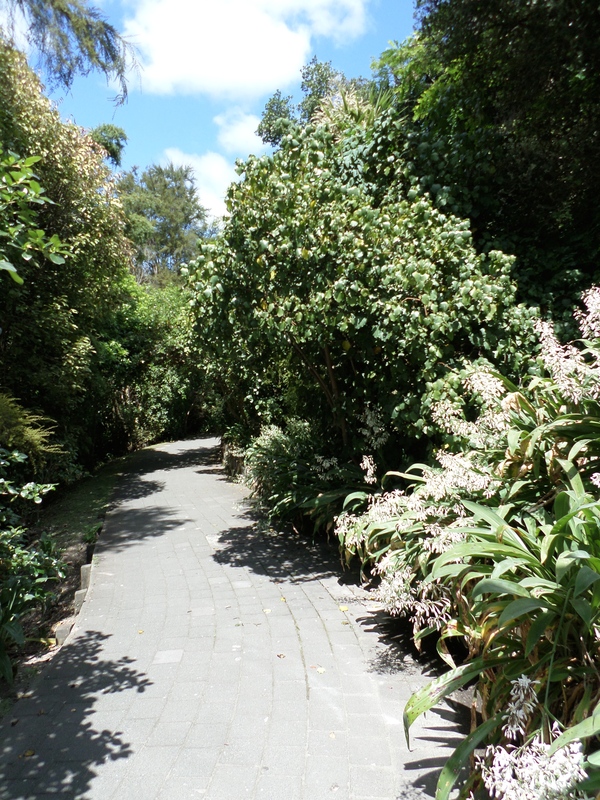 There is a lovely path along the river bank that stretches for 10km from north to south. It is shared by walkers and cyclists, but unlike Copenhagen, cyclists show respect for walkers. 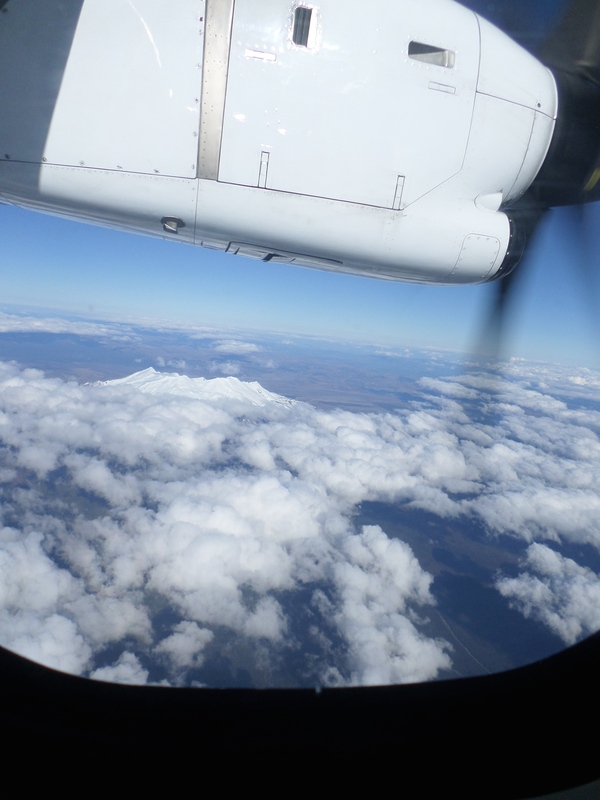 Being a sunny and relatively clear day, the flight home meant we got an excellent view of Mount Ruapehu, its peak rising above the clouds. The picture does not do justice to the sparkling snow and how close it felt – just amazing. 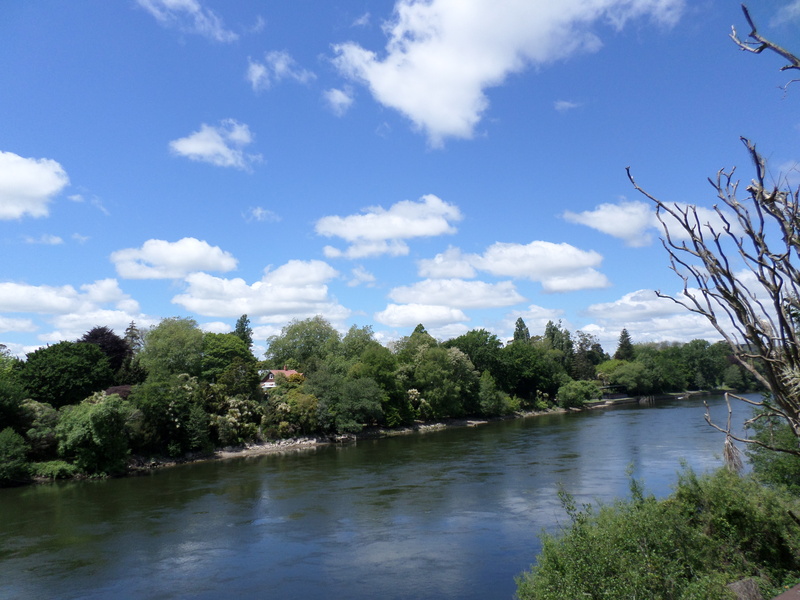 So, as you read this blog, just remember that the day was not just about a riverside walk and an amazing flight home. Other things went on that are too dull to mention. 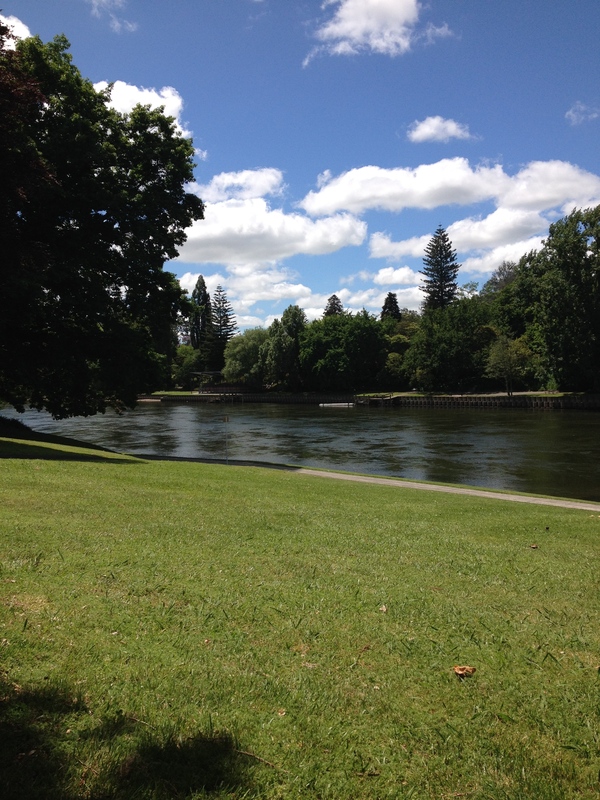 PS – the fonts are different under the photographs as some were taken with my phone and some with a point and click camera. If anyone can tell me why, I would be grateful!